Register for the Animal Flow® Level 1 Workshop (Instructor Certification) in Auckland, New Zealand on May 26-27! This course is where you can learn the popular and incredibly effective new workout practice, taking the steps to becoming an Official Instructor. The two-day event is five and a half hours each day: Saturday and Sunday from 11:00am to 5:00pm. The Australia and New Zealand workshops are now managed directly by Animal Flow, tickets and registration below. 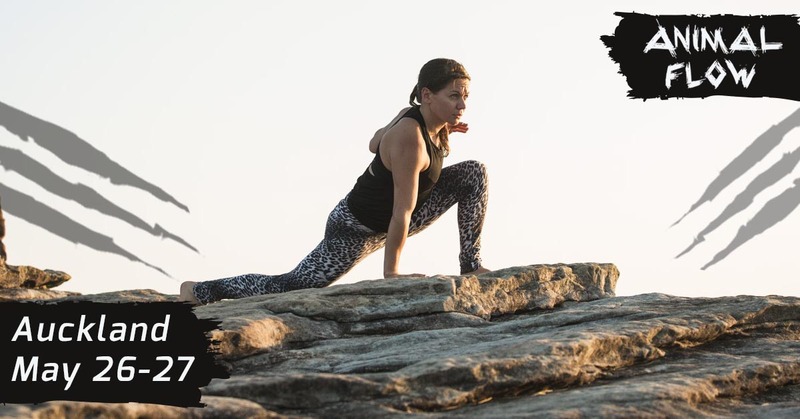 The event will be hosted at a Habitat for Fitness and taught by Animal Flow Master Instructor Alisha Smith. Cost for the Level 1 Workshop is $425 USD. Payment plans available: 50% due to register and balance due two weeks prior to event. Simply select the payment plan ticket option below!